Consult with a Cold Craft Tempologist for all of Your Thermal Comfort Needs. Cold Craft, Inc. is a trusted cooling and heating contractor since 1991 in the South Bay. Cold Craft, Inc. is a BPI Certified contractor so we understand building performance and a Diamond Certified company so you know you will be treated right. 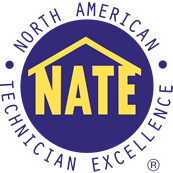 Our highly trained NATE certified technicians and installers are prompt, courteous and professional with years of diagnostic, repair and installation experience. Our educated technicians made it possible for Cold Craft to be given the NATE (North American Technical Excellence) Quality Circle. Cold Craft's president is an instructor at the local college teaching HVACR subjects (HVACR heating, ventilation, air conditioning and Refrigeration). This enables us to get the pick of the top new talent, but of course the new talent needs training to learn more. We are an learning organization with Monday morning safety and learning opportunities as well as OJT and seminars on and off site. 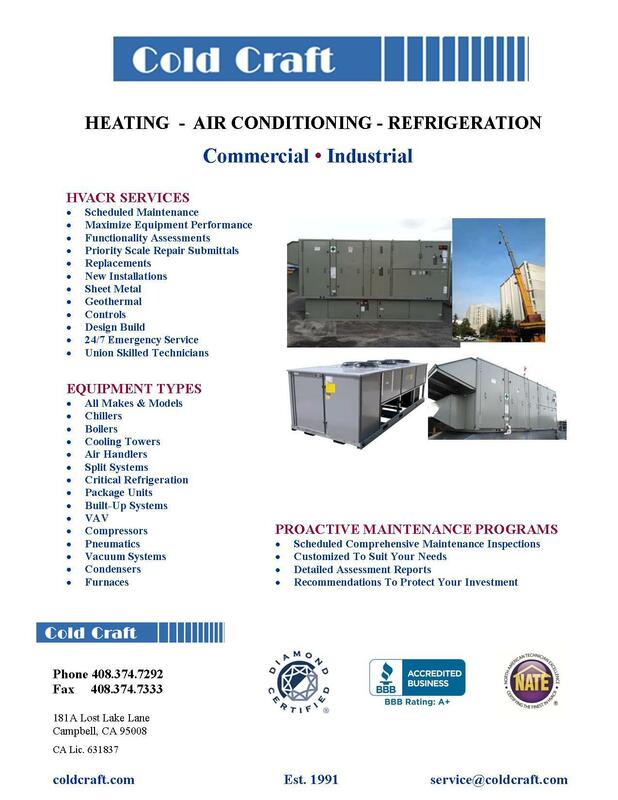 Cold Craft is also considered the leading HVAC and energy efficiency company to go to for heating and cooling challenges. We offer emergency AC and heating repair service including nights, weekends and holidays. We are the quality company to contact when you really need help with something. Cold Craft also repairs, installs and maintains all makes and models of air conditioning and heating systems including Carrier, Train, Lennox, Ruud, Rheem, York, Amana, Bryant, American Standard, Coleman, and Day & Night. As well as heat pumps, air filtration, mini-splits, duct testing & sealing, geothermal, radiant heating, wine cellars & package units. Let us assist you in picking the best equipment for your needs and home and we can assist you in going green too! Cold Craft is a member of BBB with an A+ Rating. 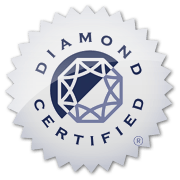 We are Diamond Certified , Cold Craft has NATE certified technicians and is listed on their site as NATE Quality Circle Contractor. Cold Craft has been serving the bay area communities for over 20 years. Call 408.374.7292 or email us Service@coldcraft.com for more information. They were prompt, and the technician was very good at keeping me informed. When we asked them to come back to solve a problem, the office staff was very efficient. As a professional remodeler, CASE Remodeling depends on the expertise and accuracy of the sub-contractors we use. 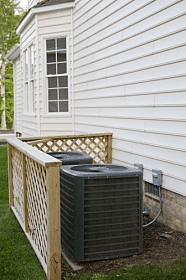 Based on their attention to detail and customer service, without any reservation we can state that Cold Craft Heating and Cooling as become our exclusive HVAC contractor.